Would You Like to Study in Venice This Summer? 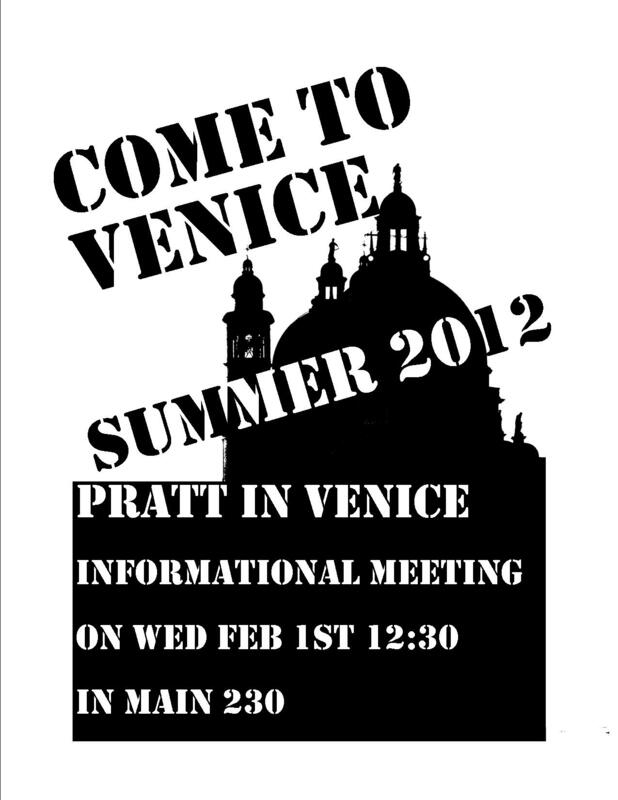 Pratt in Venice will have its first informational meeting for interested students on February 1st ! Need Art History or Studio credits? Want to spend your summer in the city of water looking at art? Pratt in Venice is holding its first informational meeting on Wednesday, February 1st at 12:30 in Main 230. This is a great chance to find out more about the program, meet the professors, and other specifics such as application procedures and dates. The program is running for its 28th year, and has a distinguished reputation among study abroad programs at Pratt. Keep a look out for flyers around campus and feel free to stop by the Pratt in Venice office in room 250B to pick up a brochure and applications.